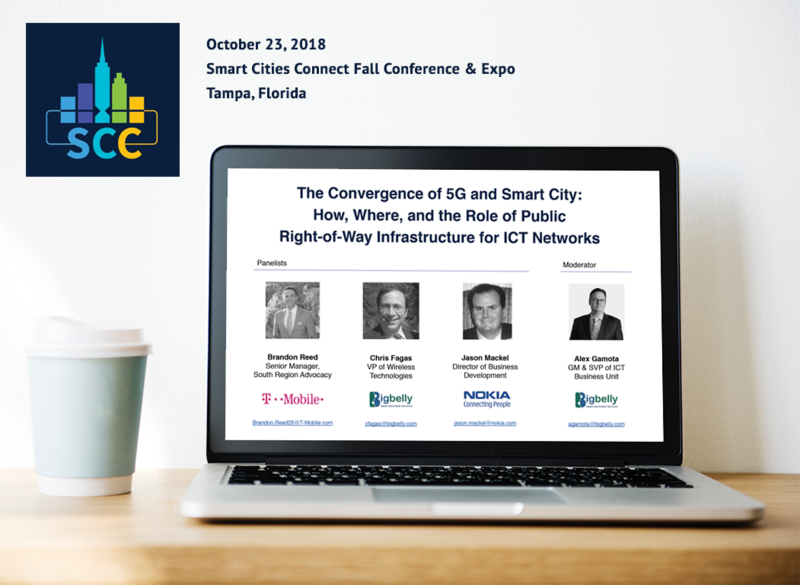 Bigbelly's Information and Communications Technologies (ICT) Division was thrilled to share the stage among industry leaders from T-Mobile and Nokia at last month's Smart Cities Connect Fall Conference and Expo in Tampa, FL. This industry leading event brought thought-provoking IoT, Telecom, and Smart City movers and shakers together to discuss the trends and trajectory of everything related to Smart Cities. We're looking forward to the 2018 fall edition of Smart Cities Connect Conference & Expo in October in Tampa, Florida! 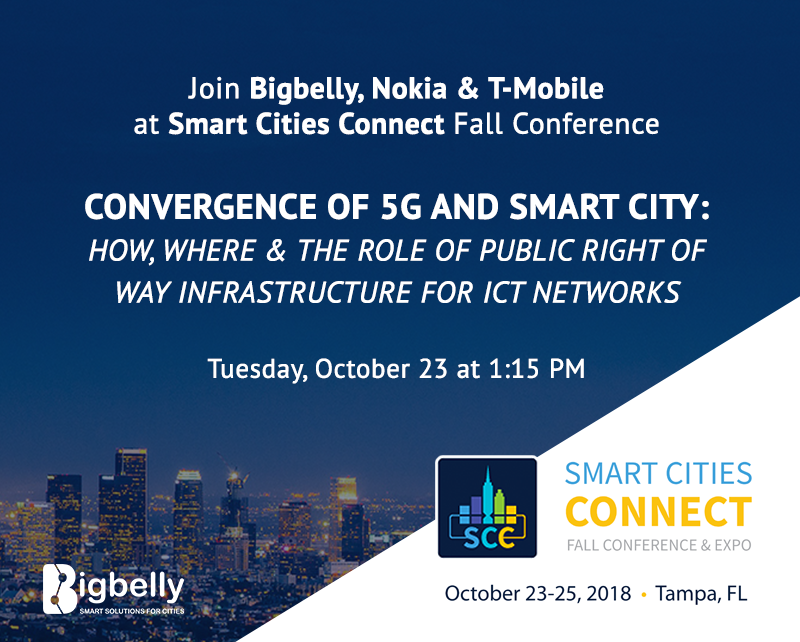 Bigbelly takes the stage alongside Nokia and T-Mobile on day one (10/23) to discuss the Convergence of 5G and Smart Cities. Join us for the conversation as we explore the how, where, and role of public right-of-way infrastructure for Information & Communications Technology (ICT) networks. Bigbelly is returning to Barcelona for the 2018 edition of the IoT Solutions World Congress (IoTSWC) from October 16-18. 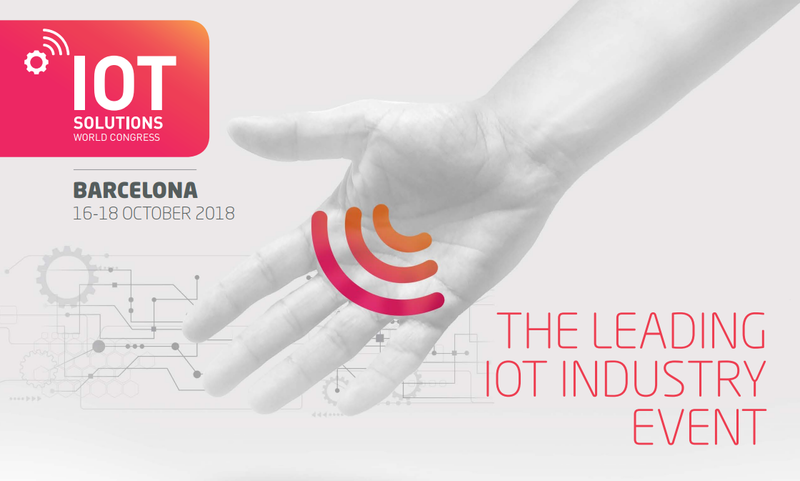 This industry leading industrial internet event, organized by Fira de Barcelona, will bring together hundreds of global IoT leaders to discuss the latest trends, applications, and impacts of the industrial internet. As published in the industry publication TelecomNewsroom, read on for an interview with Bigbelly's SVP of Information and Communications Technology, Alex Gamota. This interview was held shortly before the NEDAS NYC Summit in September where Alex participated on a panel to discuss the impact and role of multi-purpose infrastructure in the small cell market evolution. Were not able to attend the event? Check out the full panel session recording, here! Bigbelly had the pleasure of spending a day alongside telecom industry leaders at the Northeast DAS & Small Cell Association's NYC Summit in New York City's Time Square. 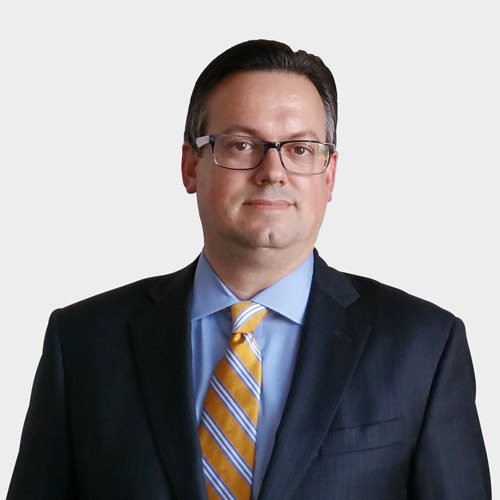 Our SVP of the Information and Communications Technologies division, Alex Gamota, participated as a panelist in a session titled "A Market Evolution: Building out the U.S. Infrastructure to Meet Tomorrow's Demands" (read more about it here). 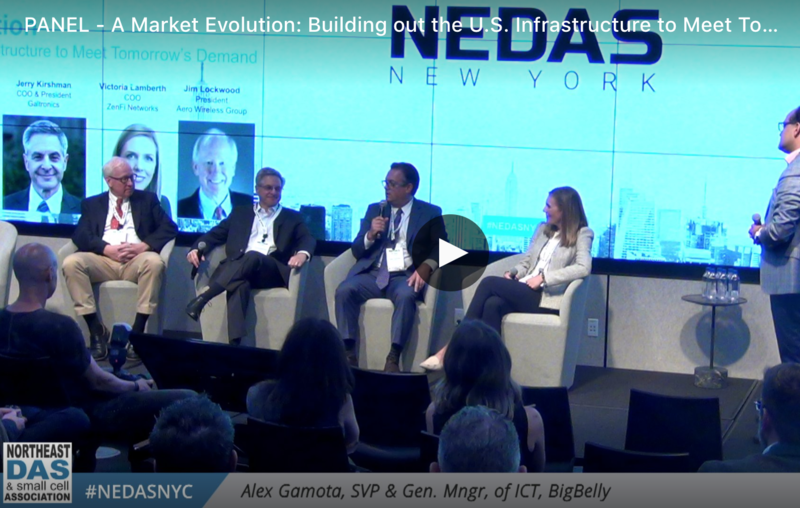 Panel Discussion at the NEDAS NYC Summit | "A Market Evolution: Building out NYC's Infrastructure to Meet Tomorrow's Demands"
Bigbelly’s Information & Communication Technology group is excited to take part in the upcoming Northeast DAS & Small Cell Association's NYC Summit on September 6, 2018. The Municipality of Södertälje, Sweden produced a fun summer-themed video featuring their forward-looking waste coordinator, Tomas. This city located ~20 miles outside of Stockholm uses the Bigbelly system to reduce litter in their public spaces and to offer Wi-Fi hotspot service to their constituents enjoying the spaces. As reported by ABC Channel 7: Beachgoers in one Long Island town can expect to see less garbage and a lot more people on their cell phones. Until now, cell service on South Jamesport and Iron Pier beaches in Riverhead has been spotty at best. Now, new trash compactors made by Bigbelly will be installed. These solar-powered compactors will have a antenna to supply cell service for people nearby, and the garbage cans will notify sanitation when they need to be emptied. Riverhead Town will be trying out new smart trash compactors meant to reduce trash woes and also offer Wi-Fi and cell phone connection for beachgoers at South Jamesport Beach and Iron Pier Beach. 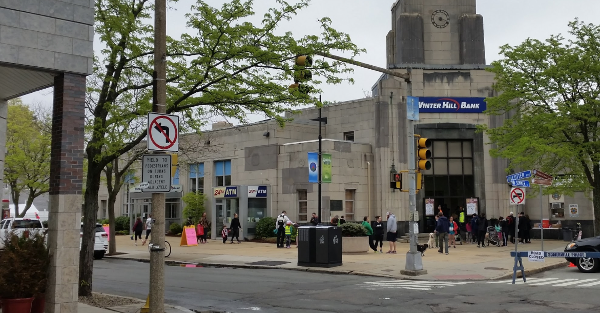 The solar-powered receptacles will be installed [...] through a partnership between Bigbelly, a company that manufactures smart waste and recycling bins designed for cities, and Verizon. A cell antenna is attached to each compactor.